You'll dig it. And eat it. And drink it. 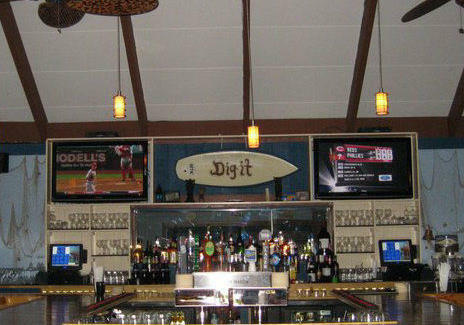 Decorated with flat screen TV's and a surf board bearing the phrase "Dig It", CE's from a pair of Jersey brothers who've filled the menu with comestibles both grilled (burgers, kabobs, ribs) and fried, from lobster tails, to clams, to scallops. They've also got generous specials including all-you-can-eat ribs and 50-cent half shell clams, perfect for those who aren't rich but want to die trying.